Cheyenne, Wyo., is a western town famous for its Frontier Days. It’s an old railroad town. It’s the capital city in a state that ranks 50th in population but 10th in landmass. At about 60,000 people, it’s also the largest city in the state. Bill Lindstrom (’79 journalism & mass communication) is the executive director of Arts Cheyenne, the arts agency for the greater Cheyenne area. Arts Cheyenne provides education, arts and cultural advocacy, consulting, technical assistance, and programming through creative community partnerships. 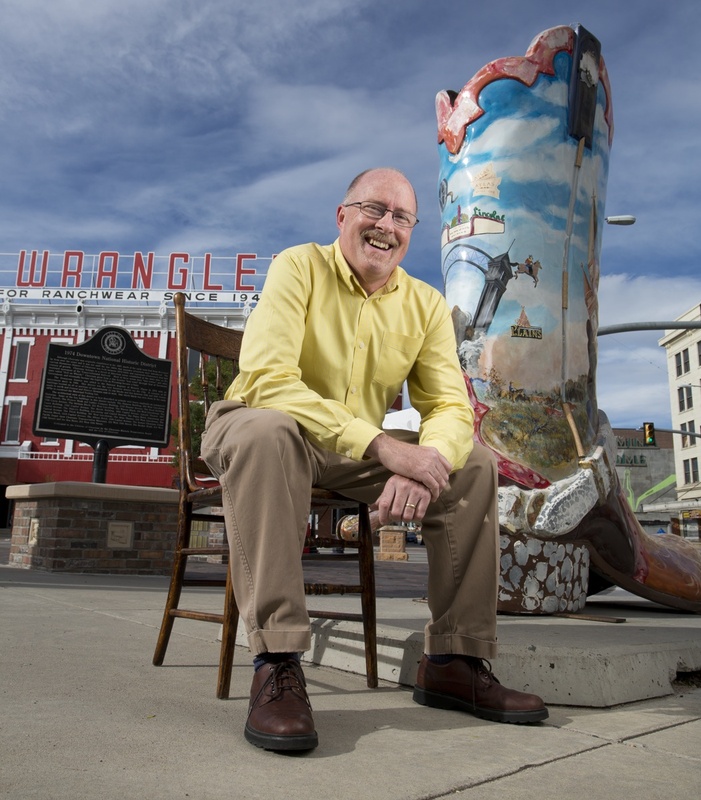 In his role with Arts Cheyenne, Bill is helping the community find its identity. He’s helping city leaders look inward to understand who they are and helping people become engaged and involved with the cultural environment. 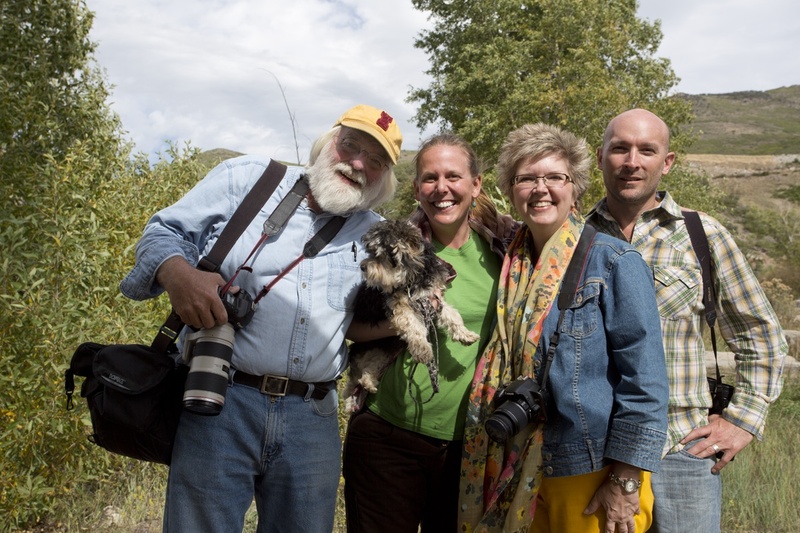 Bill and his wife, Julie (’79 journalism & mass communication and elementary education), have lived in Cheyenne for 30 years and raised two children, Jill and Ross. Bill is the former CEO of the Association of Film Commissioners International, headquartered in Cheyenne. He also runs a small business, Bevara Digital, that transfers old media to digital format. 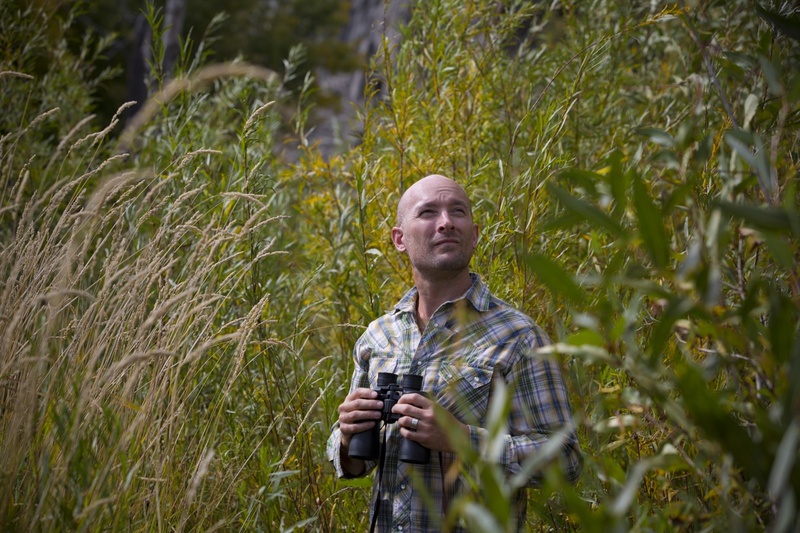 He grew up in Elm Creek, Neb., and Shelby, Iowa. Cheyenne, he says, is perfect for its proximity and accessibility and also for its outdoor activities. 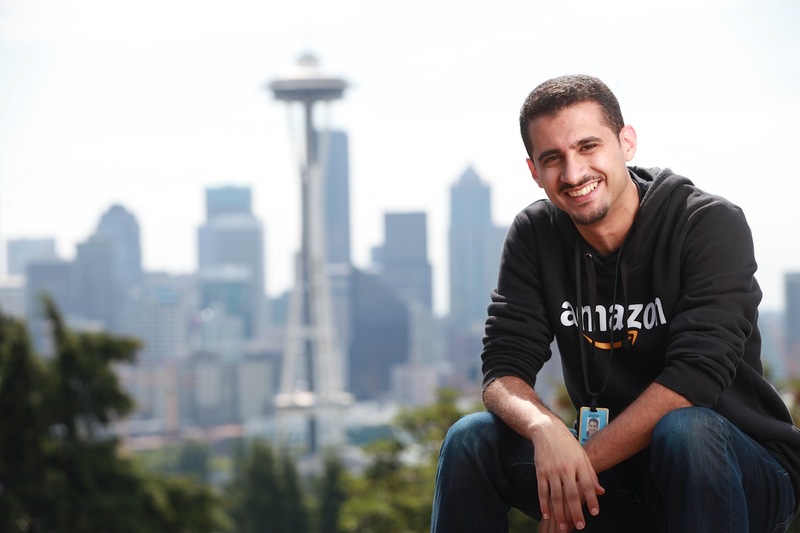 When Mohammed Alabsi (MS ’07 computer science) went to work for Amazon.com in Seattle in 2007, he was one of about 17,000 employees. Today, he’s one of nearly 100,000 employees worldwide. So Amazon.com is a fast-growing, fast-moving company, and Mohammed is fine with that. Since joining the online retail company as a software engineer, Mohammed’s work itself has been fast-moving. Four patents are displayed in his office, and he has three more pending. He’s helped build a number of Amazon products including Mechanical Turk, a crowd-sourcing Internet marketplace; AmazonLocal, a daily deals service; and Amazon’s online advertising platform. He’s currently a member of Amazon’s Elastic Compute Cloud (EC2) team. Mohammed grew up in Egypt and Jordan. He came to the United States when he was 17, lived in New Jersey, and got his undergraduate degree at the College at Brockport, part of the State University of New York system. Finding alumni to feature has been one of my favorite parts of the whole VISIONS Across America project. Case in point: Many months ago, I was searching the alumni database for unique stories to tell in Utah. When I found Kathie Taylor and Rob Andress, a couple in Salt Lake City, Jim and I got really excited. My research showed that Kathie was a wildlife biologist and ecological consultant and that Rob was a hydrogeologist. Wow – a double whammy in one of the most beautiful states in the country. “Finding” them turned out to be a two-part process. Kathie quickly returned my email, and we scheduled a morning meeting (with breakfast!) at their home in late September. But the directions she sent to their home left us a little confused once we were actually in the car and trying to drive there. It turns out that I had to call more than once, because Jim and I were never really sure we were going the right way or were even in the right canyon. But Kathie assured us that we couldn’t get lost, and she gave us a landmark to watch for: big green Dumpsters. We drove up and up and up. She opened the gate that led us up a private road to a cabin, one of about 25 homes on the mountain. We were greeted by Rob, who had started a fire in the wood stove, and by a small, enthusiastic dog named Crawford. The cabin smelled fantastic – like wood and coffee and something delicious baking in the oven. While breakfast was cooking, Rob and Kathie gave us a tour of the two-story cabin they’ve lived in since 2001. The bedroom is downstairs; kitchen, living room, and office space (above) is on the main floor. The cabin is small, cozy, and efficient. Rob and Kathie are one of a handful of homeowners in their neighborhood that live there year-round. The rest are summer homes. At 7,400 feet, winter comes early here, and the Wasatch Mountains get a lot of snowfall – three feet in three days once – but Kathie is unfazed. She grew up in northwest Ontario, Canada, the daughter of parents who ran a fishing camp. “My dad gave me the genes to be on the path I’m on,” Kathie says. She was “destined” to go to Iowa State, too. Her father, a Creston native, attended Iowa State, as did her sister and some cousins. Kathie was an undergraduate when she met Rob, a grad student. Kathie was doing fieldwork on a forestry project and Rob was writing his thesis. They met through mutual friends. 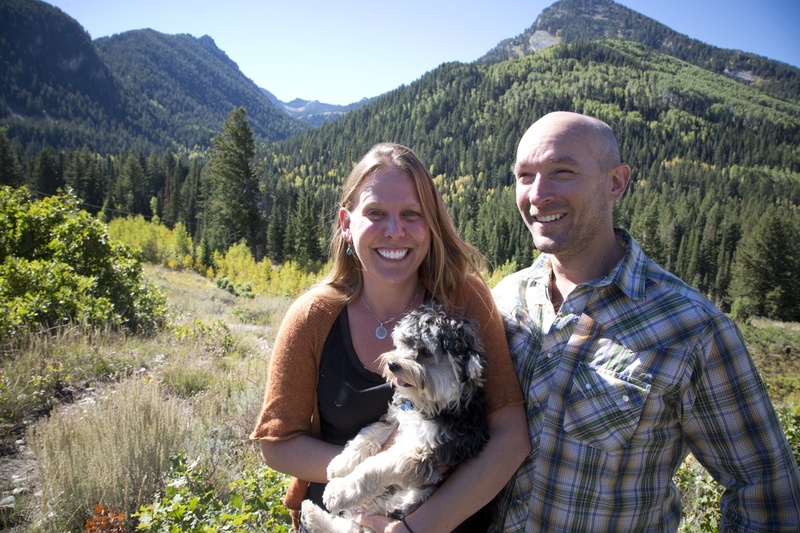 Following graduation in 1999 – Kathie with a bachelor’s degree in animal ecology and Rob with a master’s in geology and water resources – Rob began to apply for jobs in Utah. Kathie wasn’t so sure about that. She’s since become a convert. The couple climb, hike, bike, camp, ski, river raft, and backpack. High-end ski resorts are located within a couple of miles of their cabin. Rob owns his own hydrogeology firm, Gradient LLC. Kathie owns an ecological consultant company called Argenta Ecological. They share an office in the cabin, but for weeks and even months at a time they’re on the road, working for federal agencies (U.S. Fish and Wildlife Service, Bureau of Reclamation, etc.) and with non-profits. “We call ourselves ‘conservation gypsies,’” Kathie says. Rob explains that they bid jobs separately but try to team up to do the work, often traveling to Nevada and Arizona. Much of the work has been in the area of habitat restoration for endangered desert fishes and invertebrates. After breakfast and a brisk walk to the top of the mountain (see photo at top), Rob and Jim climbed into our rental car and Kathie and I followed in her truck. Our destination was the Provo River in the Heber Valley, south of Salt Lake City. She had no qualms about wading waist-deep into a wetland adjacent to the river, fully dressed. Rob held Jim’s portrait light so it didn’t fall in the water, and I held on to the dog. We attracted a lot of attention. Afterwards, Jim photographed Rob watching birds, a slightly drier pursuit. During my research phase I had learned that Kathie and Rob both do site assessment and design, and Rob does construction oversight, restoring springs and their outflow channels. Kathie also conducts wildlife surveys but has “morphed into a bit of a GIS Jack-of-all-trades.” (“I make a lot of maps and do spatial analysis for listed/sensitive species and for threatened landscapes,” she explained in an email.) 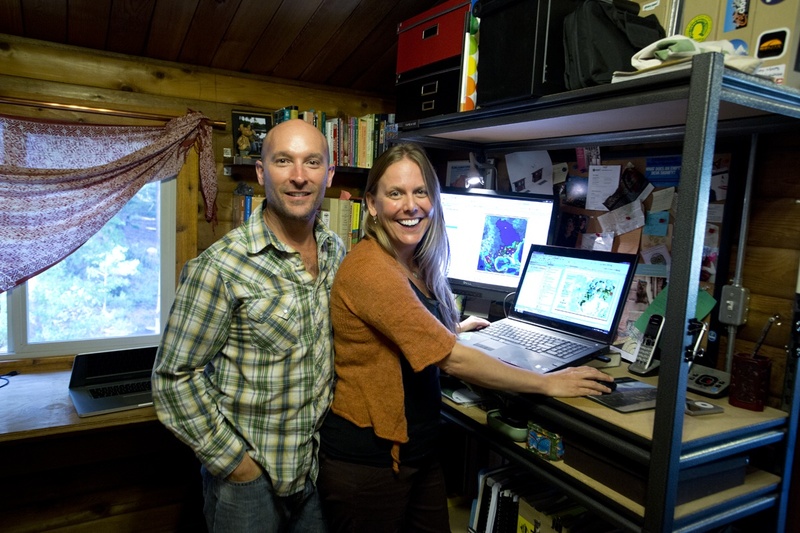 They also do some writing – technical reports and management recommendations mostly ­­– and at the time of our visit Kathie was in the final stages of writing a book about a place in Nevada called Ash Meadows that has a very high rate of endemic fish, plants, and insects. It’s also a place where Rob has done restoration work. Spending the day with Kathie and Rob – seeing where they live and visiting one of the places they’ve actually worked – just reinforced the coolness of my job (meeting awesome people in awesome places) and the truly amazing variety of lives being led by Iowa State alumni. I mean, seriously, here we are in a pond in Utah. I could not have imagined this when we started this project. So when we’re finished with the photo shoot and Kathie is covered up to her waist with pond “detritus” (and no spare clothes to change into), she suggests that we all go out for a late lunch at this Latin American restaurant nearby. We spent the next hour on a sun-warmed deck somewhere near Provo, Utah, eating our combined weight in salsa. And wouldn’t you know it? The next day it snowed.